Tonight Chelsea and Berit went to a Norwegian party. Berit is part Norwegian and recently won a reality show based in Norway with other Norwegian Americans called Alt For Norge. She was our upstairs neighbor at the time and we got to experience her being gone for two months and then coming back and keeping the fact that she won a secret from us for two months after she got home, while we all curiously watched the show. Convinced that she came in second or third. It was quite brilliant on her part actually. It made for an exciting run! So now she is a bit of a celebrity in that “world” and Chelsea is reaping the benefits, by being able to get dressed up and go to a fun party. I had a fun night too! 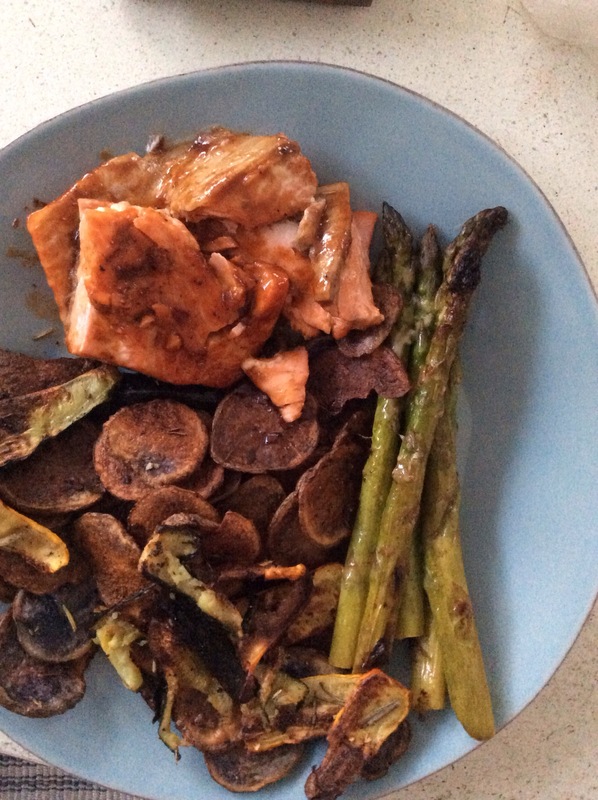 Doing some of my favorite things, cooking and eating. Tonight’s dinner was easy to make and delicious to eat. 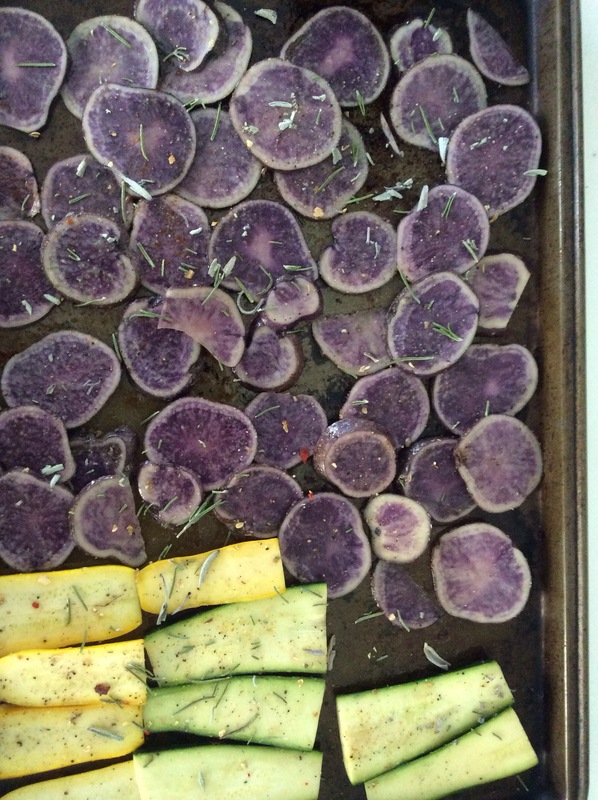 First, I thinly sliced purple potatoes, yellow squash and green zucchini and threw them in the same bowl and tossed them with olive oil and sprinkled salt and pepper and crushed up Rosemary and sage with my hand and sprinkled it over and mixed around and placed on a baking sheet and put it in the oven to bake at 400 degrees. 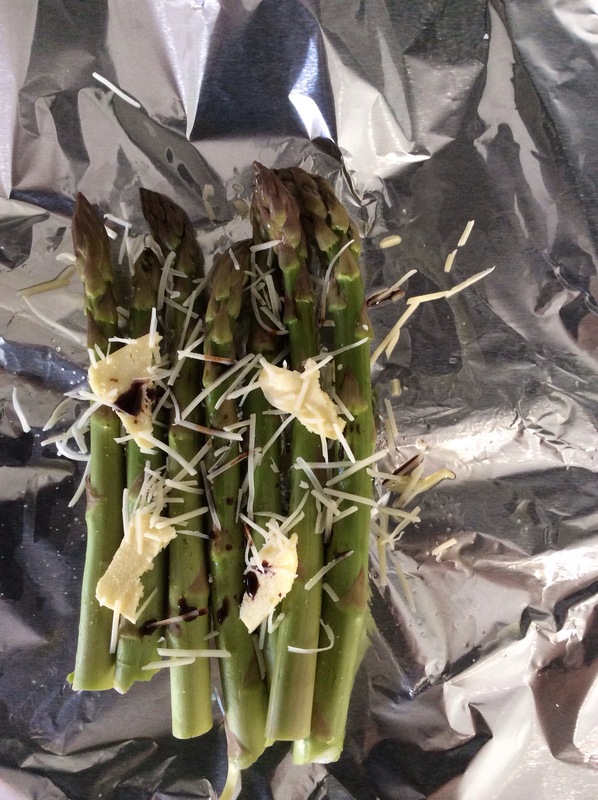 I also snapped off the ends of asparagus spears (locally grown and organic as is all of my produce) put them in foil with butter, Parmesan cheese and balsamic vinegar. 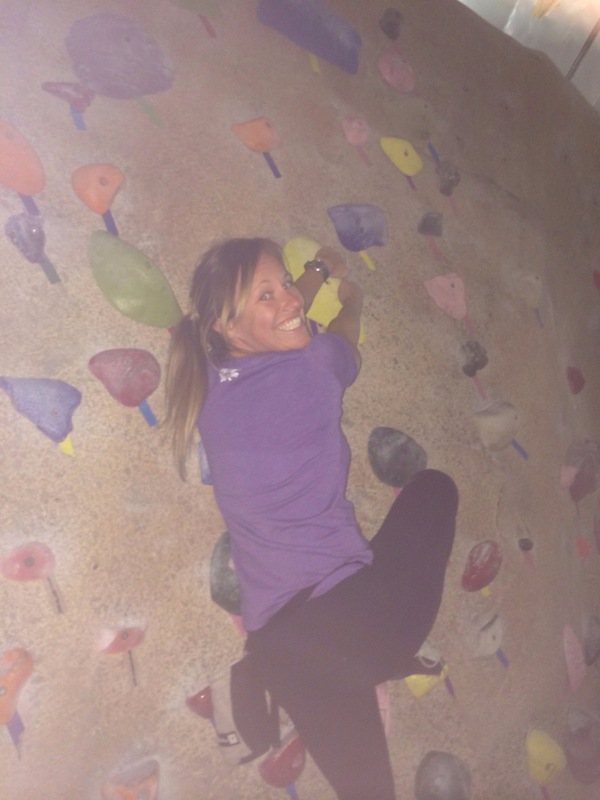 Anne and I went “Bouldering” tonight. I thought that was only a hip town in Colorado that many of my closest friends have spent time in. Turns out that when you add an ing at the end, it becomes a new activity for my ADHD self. In my efforts to find new exciting ways to exercise (see previous blog) I did this a couple of weeks ago with Anne and our friend Berit. It was so much fun, I went again and bought a package, ensuring that I would make this a weekly activity. It has all the things a good activity should have. It builds strength, it’s a challenge, it’s fun, and it gives you a chance to root on your friends and watch each other grow and progress, and sometimes fall. I was surprised by how much it increased my heart rate and even made me sweat a little. My forearms are going to be sore tomorrow. The first one is finger stretches. Definitely needed for all the use of the fingers to hold on with. The next one is crescent pose to stretch out the hips and strengthen the legs with the palms touching and hands behind the neck to stretch the shoulders and triceps. Finally, we have chaturanga dandasana, which is very similar to a traditional push up. This helps build strength in the arms. The other climbers all seem to be really nice and helpful. On my last attempt tonight, before my body said enough, I was almost to the top, my fingers slipped and I fell all the way to the ground. Fortunately, I safely landed with bent knees on the cushy pad at the bottom, about a 20 foot fall. A guy next to where I landed said, sorry I wasn’t paying better attention, I would have helped you out. Then he proceeded to give me a bunch of climbing tips. 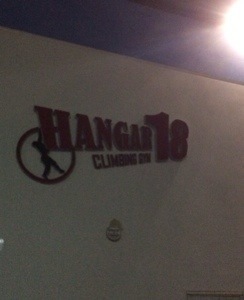 We went to this place called Hangar 18 South Bay, just a few minutes from the beach in one of those places with a bunch of office buildings, you’d never know what was inside from the looks of it, but inside here is a lot of fun! Then, the best part is when we came home, Anne came in to say hi to Chelsea and she had cooked us a delicious organic whole food vegetarian dinner. Oh yeah, I was talking about Boulder…I’m going there in June for the Hanuman Festival with YogaGlo. We are one of the main sponsors and 10 of our teachers are going to be there. I’m going with an amazing company of friends. I’m excited to experience this wonderful town. It’s my kind of place. It’s “Green” for the lack of a better term, I like to call it “Conscious”, you know what I mean. It’s set up to bike and people compost and everything is local, you know, cool. I’ll have a word for it when I get back I’m sure. I’m going to a yoga festival, so “Amazing” might be the word. I’m excited to learn and be inspired by like minded individuals. Happy Now and looking forward to June. I Love it when I have something cool to look forward to. Like Bouldering next week. Exercise is one of my 7 Steps to a Happier Life. It releases endorphins and make you feel good, but I get bored easily and have been searching for a new form of exercise to compliment yoga and surfing and skateboarding and bouldering. 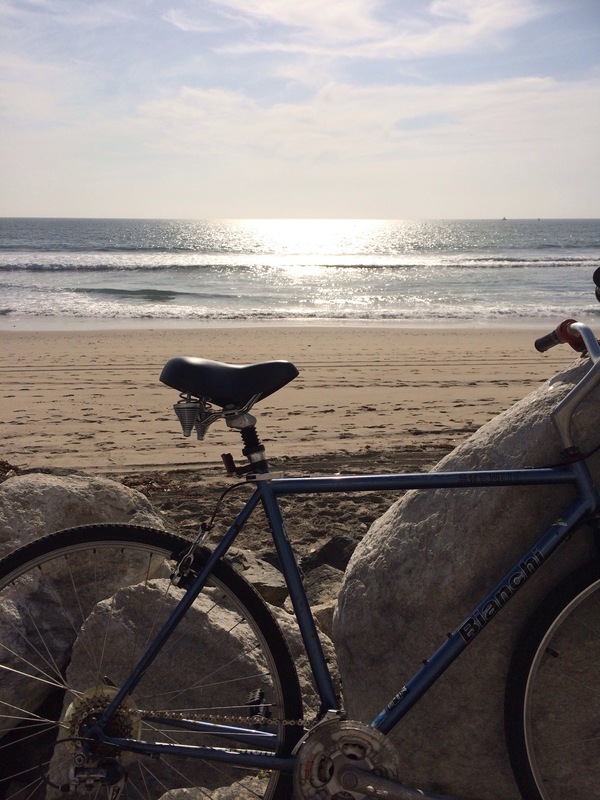 More on those later…It was the first thing I, like many of us, mastered after walking… Riding a bike. You know the phrase…”it’s like riding a bike” I think this means, it’s hard to figure out how to do it at first, but then, once you figure it out, you never forget how to do it. Learning a new yoga pose is the same way. That balance thing…once your mind and body work together and figure it out, you will always have that skill. Learning something new takes practice, sometimes a lot of practice. Then, when you finally “get it” the feeling is pure joy! This is a feeling I always want more of in my life and who doesn’t? Pure Joy is where it’s at! Learning a new skill, figuring out how to do something you couldn’t do before, leads to Joy. My mom wouldn’t let me ride a skateboard when I was a kid. She said “you can’t do that, you’ll crack your head open” She was probably right. I most likely would have. I almost did several times when learning at age 34. I had just moved to the South Bay and there is this beautiful strand that goes along the Pacific Ocean and a friend gave me a skateboard, so I gave it a try. I felt like a total clutz. I was so goofy and felt out of control, falling down several times and getting hurt, but after practicing for a little while, I figured it out and loved it. It gave me so much joy. Learning something new. Turns out you can teach an old dog new tricks, it just takes practice. Surfing was the same. Growing up in the East, South and Midwest I learned how to play golf and ski. I can still crush it at those sports as well as tennis, football, baseball and basketball, even bowling. But I had only surfed once with my friend Todd in Florida. 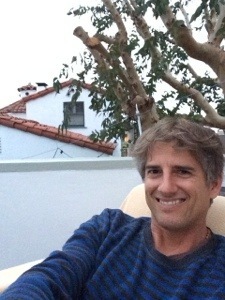 So teaching the brain something new with the added element of the powerful Pacific Ocean in my 30′s was interesting. I had an emergency room visit along with several other “close calls” People who didn’t surf would say, “aren’t you afraid of sharks? I’d say no, I’m afraid of the Ocean and other surfers! The waves can be treacherous if you don’t respect them. The surfboard is a dangerous weapon in the wrong hands and the waves are unpredictable. The key however is to not get caught up in the fear. Fear can stop progress dead in its tracks. Fear of failure, fear of injury, fear of looking stupid. Focus on the end result…Joy, the joy you will feel when you have added a new talent to your repertoire. Rest your mind on Joy, not fear. Feel the Joy. My forties are turning into the music decade for me. I wanted to learn the guitar for years, but never practiced, so nothing ever happened. Now I am into the ukulele. It is easier because it only has four strings instead of six and has a really nice sound. So I started taking lessons and I am committing to practicing for 15 minutes a day. That is only one percent of my day. Figure it out. Mathematically it is only 1% of a 24 hour day. I owe that to myself! I am going to give it a try. I’m still not very good, but I can already feel the joy as I learn new cords and begin to see progress. 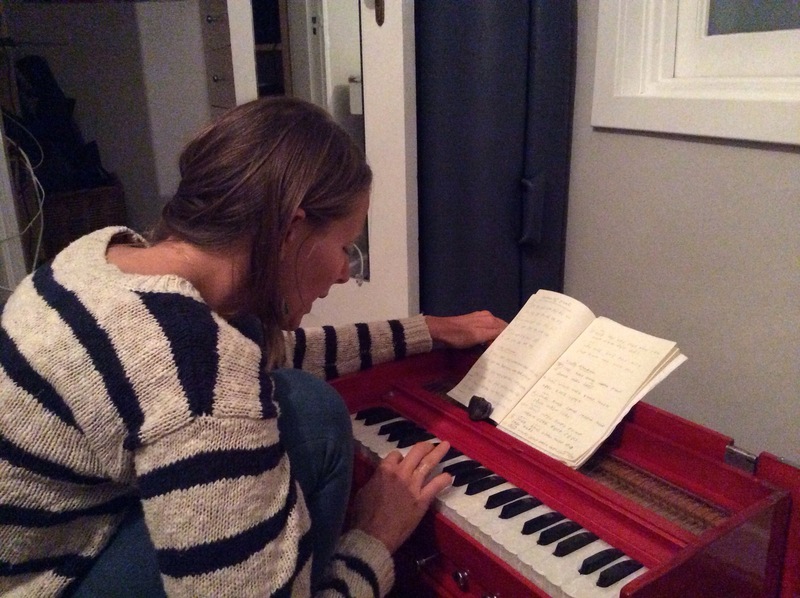 My wife has started harmonium lessons (see photo above) and it has been fun to watch her progress. I can see the joy in her spirit as she “gets it”. After years of writing all my random thoughts and inspirations into paper journals and after being inspired by my friends and fellow bloggers Gabby from Cause We Can Events, Jessica form Life, Love, and Yoga; and Peggy and Megan from Curry Girls Kitchen…I’ve decided to share with those who care, my thoughts and inspirations on everyday life. In the hopes that someone, somewhere, will be inspired to live a better life, be a better person, and have a positive impact on the world around them. Veggie Burgers. That sounds like an oxymoron doesn’t it. When I hear the word Veggie, I think of things like, healthy, vegetables, Vegetarians, etc. When I hear the word Burgers, I think of things like back yard BBQ’s, cows, In & Out Burger, and also in the back of my mind…fat, cholesterol, unhealthy for the heart, etc. I grew up eating hamburgers. Growing up in the South and Midwest portion of the United States, there were lots of cows and we ate a lot of hamburgers. Everything from Fast food hamburgers like McDonald’s, Burger King, and Wendy’s to the gourmet burgers found in little known hole in the wall places. Every year for our birthday’s, whether it was my Mom, Dad, brother, or me, we would go to this little place called the Parkway in Holland, Michigan. In Hickory, North Carolina, it was the Windy City Grill where everyone went after school and on weekends. We all called it Homer’s. Long before Homer Simpson ever came around. They had the best one’s in town. It was one of those places that had been around for years and everyone came there for their burgers. Then, during the Summer, every backyard BBQ was stocked full of juicy, mouth watering, homemade hamburgers. I never really thought about the perils of eating this classic American culinary delight. 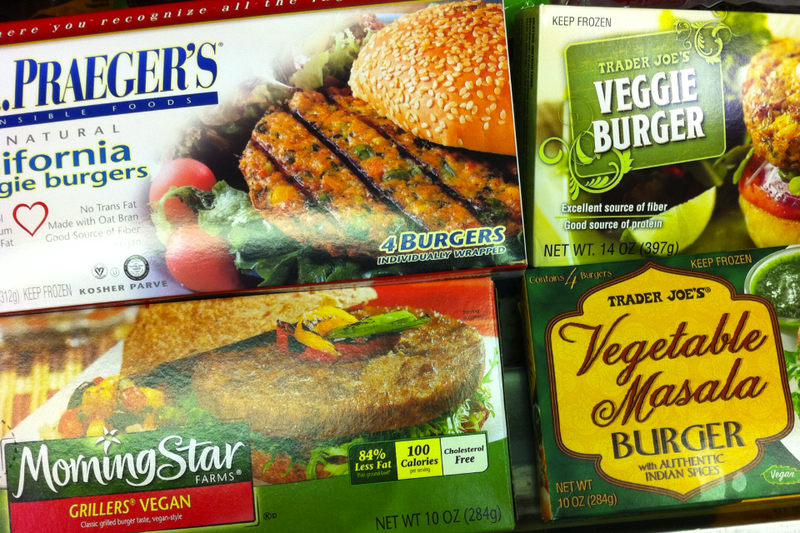 I never had a veggie burger as a kid, what was the point. No restaurant carried them, my Mom never bought them at the store and I guess I hadn’t really heard of them before or really even saw a reason to eat one. Then through life and experience and all of the articles and documentaries and stories that I heard over the years, I began to get this feeling that maybe a hamburger isn’t such a good thing to be eating all the time. Stories of heart attacks and obesity rates and lethargy, all somehow related to the consumption of red meat caused me to cut back on my indulgence of this great American pastime. Then, I moved to California, started practicing yoga, and dating a vegetarian. Now I rarely eat a good old fashioned hamburger. Remember Samuel L. Jackson’s character from Pulp Fiction, when he said, “my girlfriend’s a vegetarian, so that pretty much makes me a vegetarian” Well, that’s pretty much me right now. I still have the craving for them though. I guess it’s years of mental and physical programming. Also the fact that they taste good. I will usually indulge in a quality one every few months. I believe it’s my body telling me I need the iron and protein and other nutrients that it provides. At least that’s what I tell myself. Someday, I may go completely vegetarian, but I’m not there yet. I am now very conscious of the burgers that I choose to eat though. I also make sure I bless my food and thank the cow for sacrificing it’s life. Currently my top choice for a burger is from Simmzy’s in downtown Manhattan Beach (Delicious burgers that come from grass fed cows in the Midwest). So, how do I satisfy this craving for a good hearty burger without actually eating one? That may be a question many of you are asking yourselves. Especially if you’ve tried to order a veggie burger from a restaurant or gotten one from the frozen food section of the grocery store. Let’s be honest, there isn’t much out there that is very satisfying in my opinion. They all seem thin and not very flavorful. Plus, if you read the nutritional information on the back of the box, there isn’t even much protein, which is what you get from the red meat of a hamburger. So I decided to take matters into my own hands and make my own. I have been experimenting over the last couple of years with different styles and varieties. 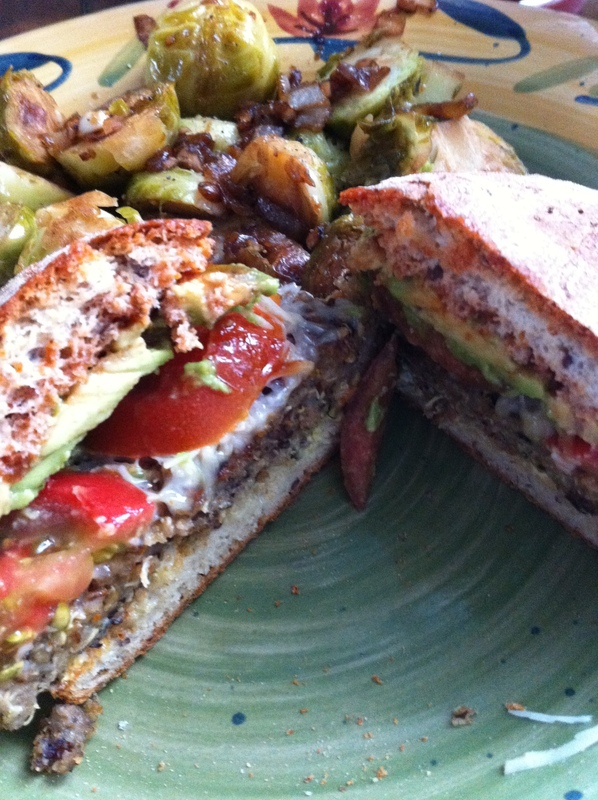 I wanted to maximize the flavor and nutrition, as well as give that Umami satisfaction that comes from eating a burger. Without any of the guilt or fat or cholesterol that also comes from consuming the animal product. I recently enjoyed my favorite version so far and would like to share with you how delicious they were and how easy they were to make. 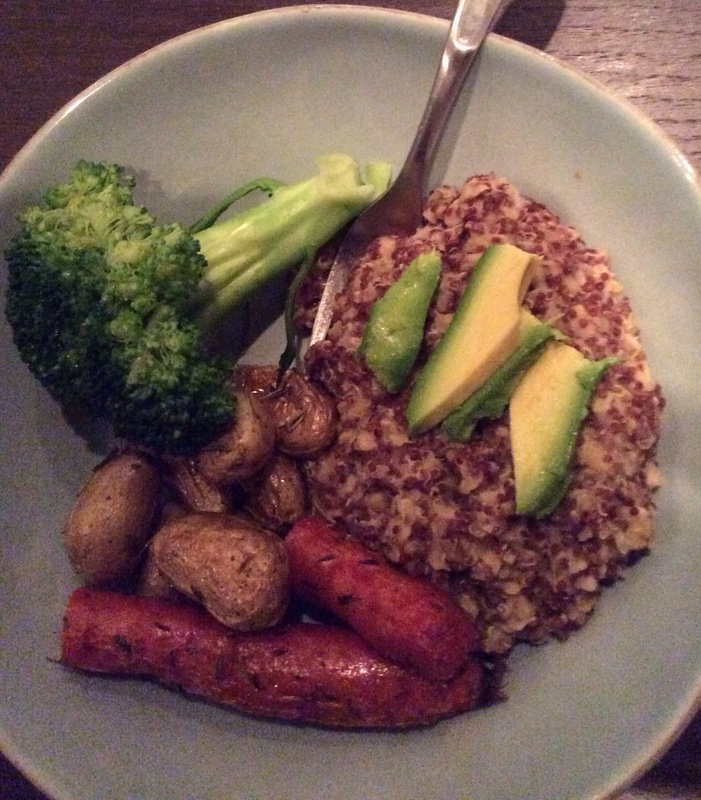 I got the basis for this recipe from the back of a bag of Organic Tri Color Quinoa, then added a bunch of things and took a few out. I have found this is a great way to cook. Use a recipe for the foundation and then modify it to your liking and preferences. I made these gluten free. So the recipe called for bread crumbs and an egg (beaten). Without the bread crumbs, the egg is not necessary. If you decide to use them. Add them in at then end, just before forming the patties. The following is the Gluten free and vegan version. 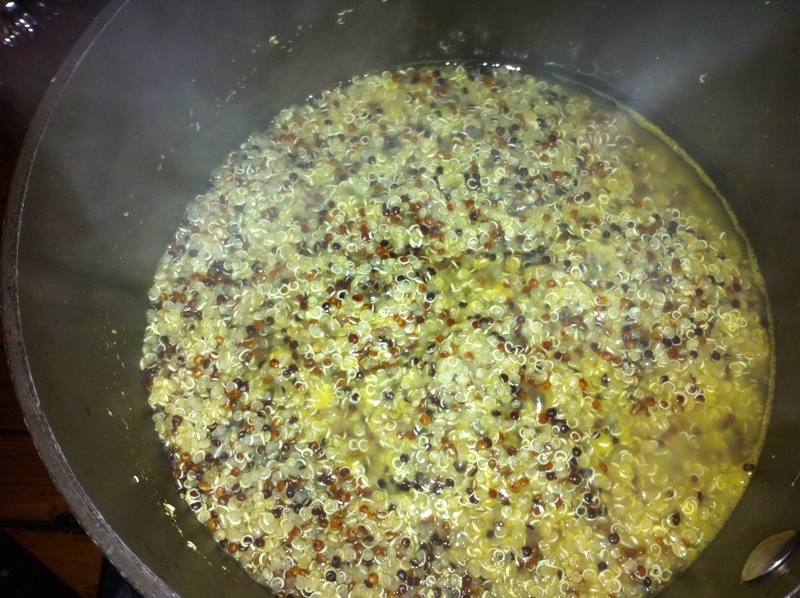 I find it easiest to get the quinoa going first. I rinse it and then get it cooking. While the quinoa is cooking, I chop up the onion, garlic, and peppers. 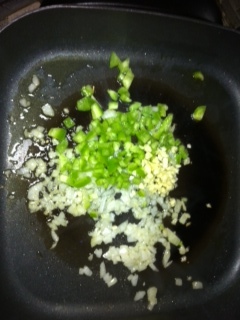 I add some olive oil to the skillet and then…Saute’ the onions, garlic and peppers. While that is going I blanche the carrots and squash. 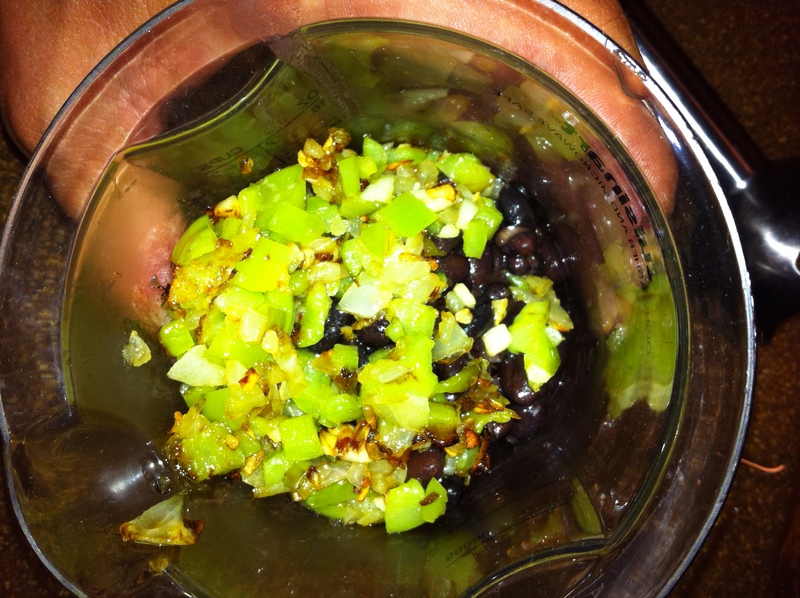 You could also add celery or different colored peppers. I prefer the orange, yellow, and red, but this day I only had the green, so that’s what I used. Chelsea, tasting the veggies, to make sure they are done. Note, the recipe in the background that I used as my base. I prep all my ingredients first, so the beans have been drained and are awaiting their turn. I didn’t end up using the egg. If I were going to use the bread crumbs I probably would have, but since I didn’t, it wasn’t needed to bind everything together. 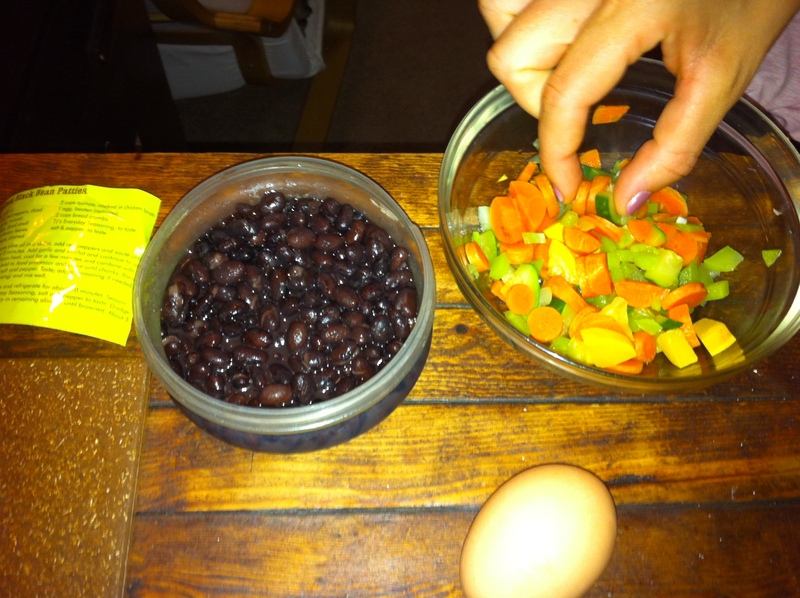 I then took the veggies, black beans, and onion, garlic, pepper sauté and put them in the immersion blender that my sister in law gave me last year. If you don’t have one of these in your kitchen, I highly recommend it. It has so many great uses. Making soups, veggie burgers, etc. It’s just as effective as a food processor, but much easier to clean. In the past, I have added cooked beets at this time and it gives the veggie burger the look of red meat when its done and also adds some great nutrients. 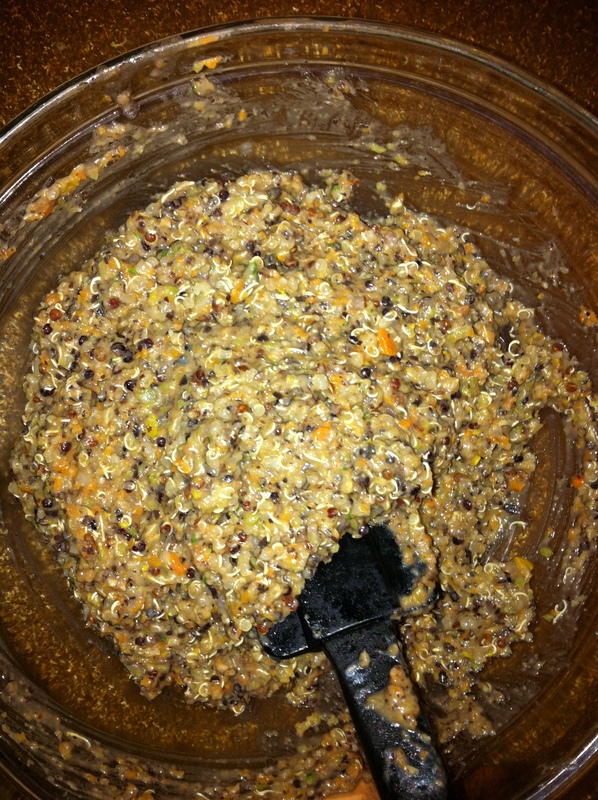 After that has all been blended up, I add it to the quinoa and mix it all together. Adding salt and pepper and any other spices at this time. Feel free to get creative with your spices. 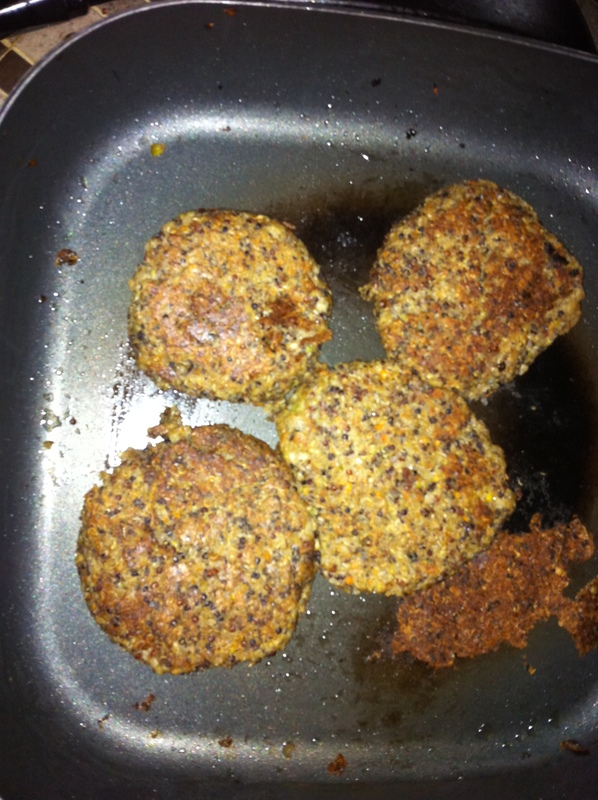 Next, I form the mix into patties and put into the refrigerator for 10 minutes. This is also where you would add the egg and the bread crumbs if you’re using them. However, it’s really not necessary. After taking them out of the refrigerator, add some olive oil to the skillet and fry them up. An iron skillet would be ideal if you have one. Gluten Free bread, Heirloom tomatoes from our garden, cheese (guess this one’s not quite vegan) avocado and my homemade BBQ sauce. Yes, those are brussel sprouts in the background. Now that’s a tasty burger. It has more than twice the protein of any of the veggie burgers you can buy at the store. Not to mention, Healthy, Organic, and Delicious. One of my goals/intentions for this year was to start growing my own fruits, vegetables, and herbs (not that kind). 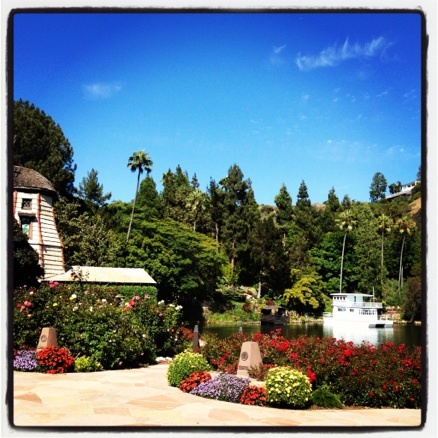 It is a challenge living in Manhattan Beach as the land is so valuable, people are spending millions of dollars sometimes to tear down a house and build a new one in its place with very little to no yard. 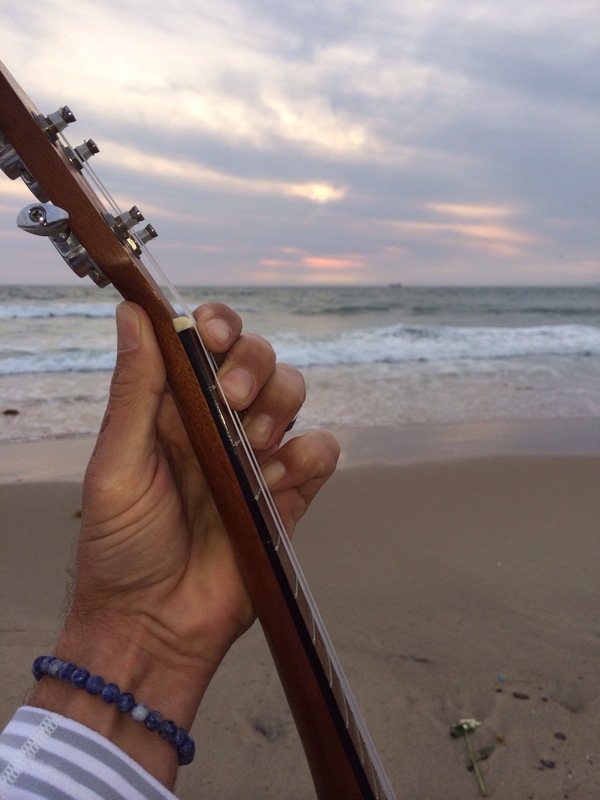 Living in my little surf shack, with no outside space, I knew that my intention would be a challenge. However, here is something I have found about goals/intentions/vision, etc. The how it’s going to happen doesn’t need to fit into your equation. Set the intention, have faith that it will work out, then take action to make it happen. Most of the time it will work out. When it doesn’t, it usually works out as something better for you. I have set goals at various times in my life. When I was working for the Simmons Company as a sales and marketing representative, I had a manager who was big on goal setting. I noticed that when I set goals, even if I didn’t all the way achieve them, my performance greatly improved. Then as an ambassador for Lululemon, I learned how to set goals and put together a vision for my future. What I have noticed about gardening is that it is very similar to goal setting. The goal in gardening is to be able to eventually eat what you plant. So the seeds we plant are similar to seeds of intention that get planted in the mind when we set goals. Similarly to goals we set for our personal life, the seeds need to be watered, given sunlight, and pests need to be controlled. Sometimes we change our mind and realize, we would rather grow strawberries than radishes. So, sometimes our plans and what we want change. So we take the appropriate steps to make the changes. Dig up the old and replant new. Also, we can’t just plant a seed and “hope” it grows. Some things do, like mint, but most goals/seeds, need to be taken care of. Even a little bit each day has a big effect on your achievement of what you desire. Does this sound like what we need to do with our personal goals or what? The metaphors are perfect. 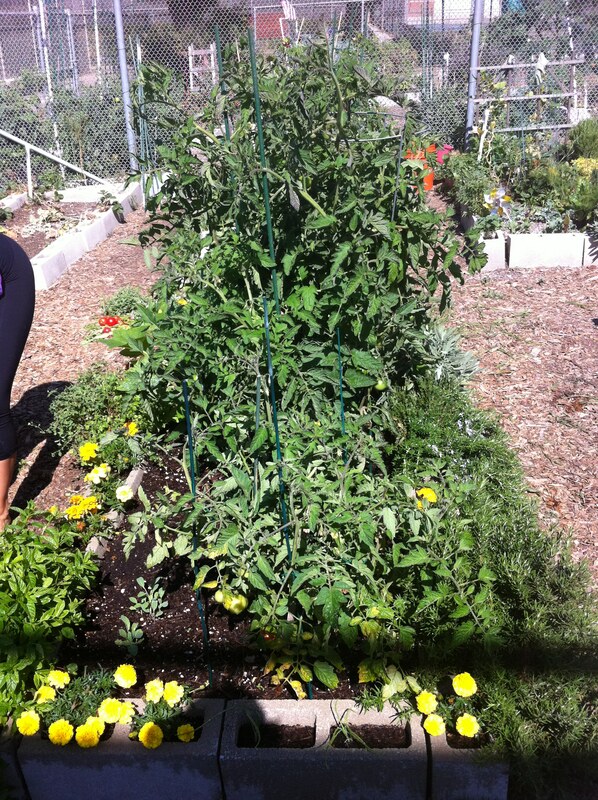 So, back to this community garden… About a year ago, Chelsea was living in El Segundo and found out through our friends who also lived there, that there is a community garden in the town and it’s free. All you have to do is apply and get on the waiting list. So together, they put in an application and several months later, a spot opened up. Her friend has three kids, several garden beds in her yard, a couple of dogs, three rabbits, a cat, and she just acquired a few chickens (to make eggs). So safe to say, she already has her hands full. So it’s pretty much ours to have and take care of. Boom, we now have a place to grow our own food. Our plot is 16 cinderblocks turned on their sides.6 blocks on each side and two on the ends. That is how much space we have. It’s about 8 feet by 3 feet. The size of your “typical” garden bed. So we have 32 holes to plant herbs and little flowers, etc. Fortunately for us, it already had…two types of Rosemary, mint, oregano, thyme, and sage already growing. I guess the people who had it before us planted those. We added, basil, onion, cilantro, and a variety of flowers that is said to naturally keep pests away. We almost pulled it when it started to pop out of the ground. That is how we usually can tell when root vegetables are ready to be picked. (or so we thought) I always wondered that. How do you know when root vegetables are ready to be picked? They are in the ground, growing underneath, how can you tell when their ready and how big they are. Then, when we planted carrots and beets and radishes, I began to see. They would actually pop out of the ground. Perhaps we have been too eager though. We didn’t pick the radish right away because we noticed that with radishes if we didn’t eat it that day, it would deteriorate quickly and then look gross and neither of us would want to eat it. 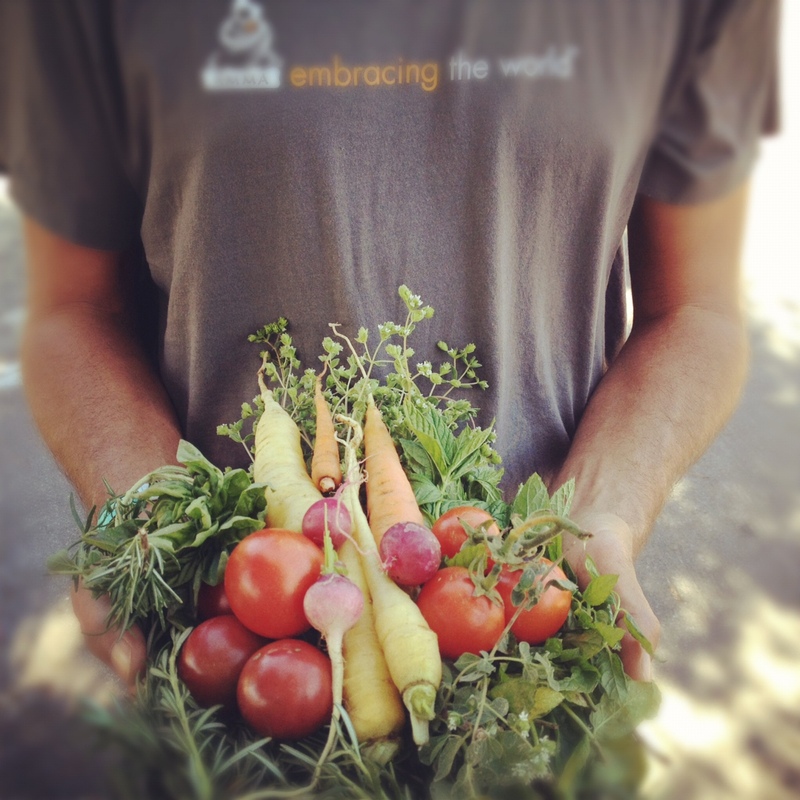 Fresh from the garden though and on a salad…mmm delicious. We weren’t ready to eat it each time we went to water the garden. 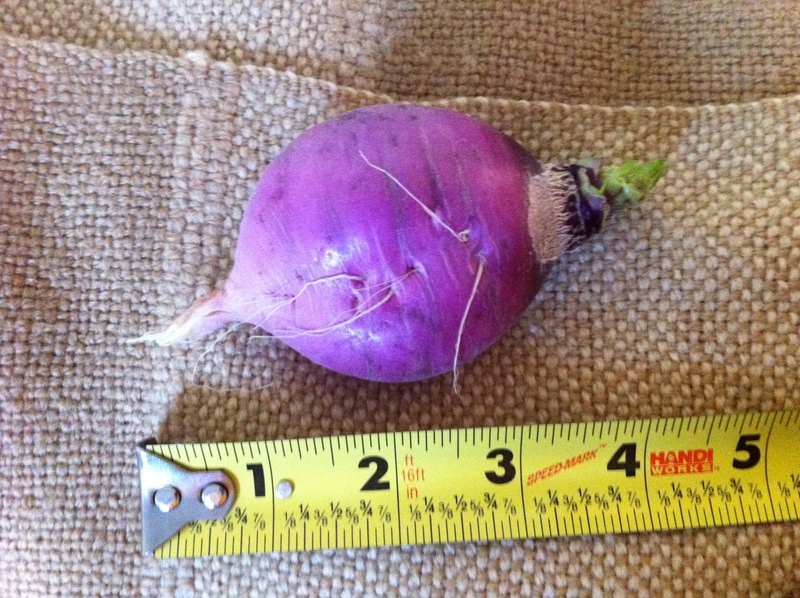 So the radish, that we planted from a tiny seed, kept getting bigger and bigger. Finally we picked it and it was four times the size of our other ones. So, maybe we need to let all of our root vegetables grow a little longer and continue to push themselves out of the ground. This garden plot is such a learning experience. We have learned so much in such a short time, through trial and error, advice from friends, and the information on the internet. We have learned to not plant broccoli next to cabbage. We kept wondering why or broccoli looked more like broccolini. Finally, when we had given up and decided to pull it, Chelsea found the tag that came with it and it said, Do not plant next to cabbage. Oops, I guess we learned that lesson the hard way. Read directions…and be careful where you plant everything. 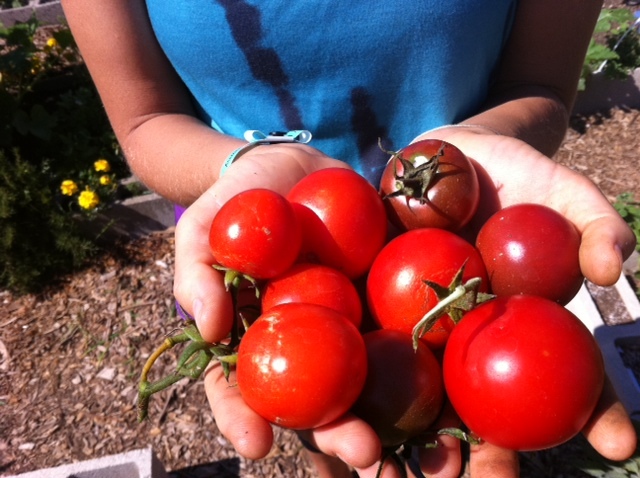 Along the same lines, we learned to be mindful where you plant things with our tomato plants. We have an heirloom and a cluster tomato plant that we got from Growing Greats. At one of their educational seminars, they gave a tomato plant away to all who attended. So Chelsea and I both got one and planted them in our garden. We planted the cluster tomato plant where the broccoli used to be and the heirloom tomato plant (my favorite kind of tomato) in the middle where the cauliflower failed miserably. The Heirloom plant has taken over. It’s almost as tall as I am. However, it is the biggest producer from our garden so far. We learned how to keep away pests with beer from my good friend and fellow yogi Wanda Mae. One day just before class at the Green Yogi, she told me that pouring beer around the garden perimeter is a good way to control some pests we were getting. We learned from the internet how to organically get rid of aphids that were covering our squash leaves. We learned from a fellow community gardener about some flowers to plant around the perimeter also that will keep certain harmful bugs away. It has been a wonderful learning experience. The best reward is Harvest Day. The day you get to the garden and realize a bunch of stuff has ripened at the same time. Goal reached! If you grow your own food too, then you know how delicious food is when you planted it, watered it, took care of it and then picked it, cooked it or ate it in raw form. It is the most delicious food ever. I remember a few years ago, when I first tasted the difference in something locally grown, seasonal and organic. I steamed up some vegetables, brussel sprouts specifically. I didn’t really love brussel sprouts, but I ate them sometimes because I knew they were good for me. Whenever I would eat them, I would steam them up and load them with butter and salt for taste. I used to shop for vegetables at the grocery store, but this is about 5 years ago and I didn’t have a car, so I started shopping at the farmers markets. Well, my first time buying them fresh from the market is also the first time I forgot to put butter and salt on them. I took my first bite and said, “Holy Cow!, this is delicious”. Then I realized I had forgotten to add butter and salt. Wait a second, this is amazing! These taste delicious without anything. That’s when I realized how much better food tastes when it is locally grown and organic. 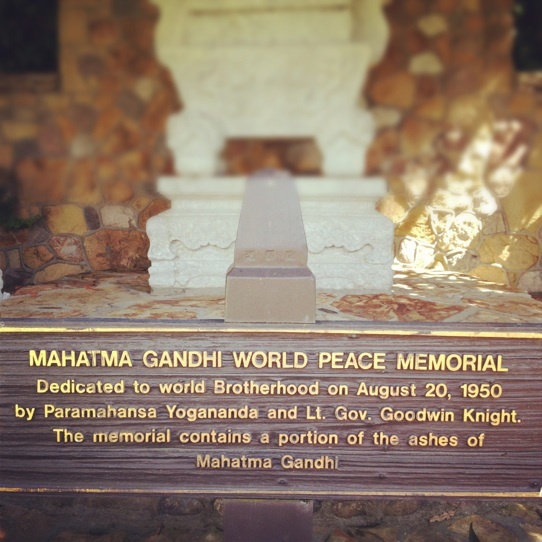 Then, as I continued on my yoga path, I became more concious of what I put in my body. What I eat, where it comes from and who makes it are all important factors for me. It’s all about balance though, at least to me. I went to Ralph’s the other night and got a Sicilian style pizza frozen from California Pizza Kitchen. So I’m not perfect, don’t claim to be. I just like delicious food. So when I got home, I opened up the pizza, added a bunch of my own toppings…squash, tomatoes and basil from our garden, olives, artichoke hearts, spinach, zucchini,some of my homemade bbq sauce, and more cheese. Mmm, now that was a tasty pizza. I would like to share the importance of what my girlfriend and I have deemed “Date Day”. We have been together for almost two years now. At first, date day was something we laughed about and jokingly said, hey, let’s have a date day. We heard other couples that had been together for a while talk about it and how important it is for the relationship. It seemed funny at the time for me to have a day set aside for us to have a “date”. We were happily together, spending most of our free time with each other. Isn’t every day “date day” I thought. However, as our relationship and love and life has progressed, I am really seeing the value in having one day a week, set aside for us to actually go on an old fashioned date. I thought this was for married couples, with kids, who were super busy and needed to set aside time to spend with each other because their lives were too hectic and they never got to spend any time alone together.I heard a statistic once that said the average couple with kids spends something like 2 minutes a week together. So I get it, those people need to have a date, but we don’t. 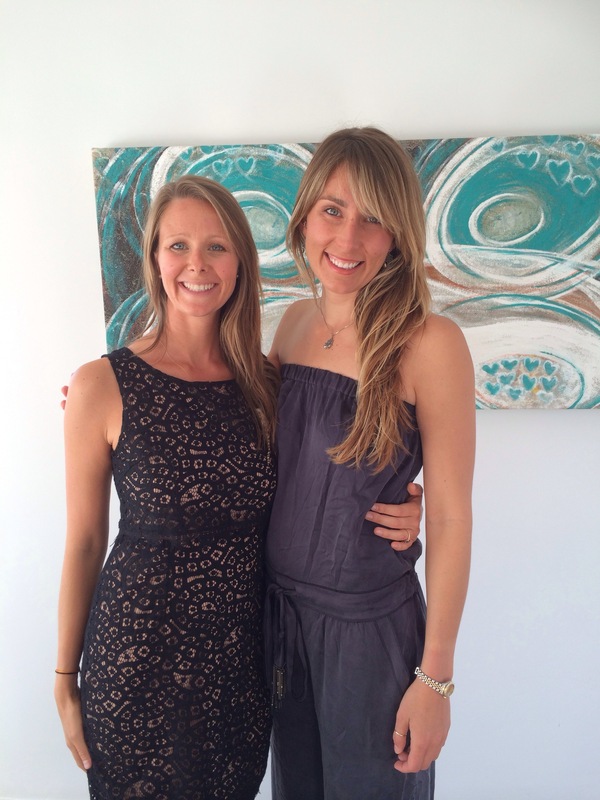 We are both yoga teachers and have lots of free time, no kids, etc. So why do we have to have a special day, set aside for just us? Well, let me tell you something. We do! Everyone does. I believe now that every couple should have one of these days or evenings with each other. It gives you a chance to reconnect with each other. Which is important, because after a while, when you are living life and have friends, work obligations, and other things that happen in life…you realize all of a sudden… Hey, we haven’t really done anything special together in a while, just us. So, what happens, is other things take priority and you slowly drift apart. It might not happen for a while, you might not even notice it. But, when you take the time to get together, just you and your partner, you realize what you have been missing…Each other. It happens to the best of us. Chelsea and I have a great relationship, I know. I have had almost every type of girlfriend and she just about every type of boyfriend. So I know a good relationship when I see it. We have a good one that’s for sure. Communication has been the key. When we take the time to get together, just us, we are able to work through any type of misunderstanding or feeling of neglect or whatever it is that couples typically go through. No one is perfect and no relationship is either. So we all need to do the little things in order to keep the happiness, joy, passion, etc in a relationship that we can. I have come to learn that little things lead to big things in life and in relationships. You know the phrase ,” nip it in the bud” ? Well it applies to relationships and communication. When you can communicate freely with your partner and nip a situation in the bud, before it gets out of hand, it will save you a lot of time and heartache later on. Date Day is a good time to hash out some of the issues that will no doubt arise in any relationship. It gives you a good time to get together and spend time doing the things that you both love. Reminding each other what it is that you love about the other person. We always end up making great plans for our future. Sometimes the plans are for far off in the future, like having kids, where we want to live, what we want to be doing in ten years, etc. Sometimes it’s about the next few days or weeks. It gives us a chance to evaluate our lives and see what is working and what isn’t. That way necessary changes can be made that will help us create more joy, harmony, fulfillment and Love in our lives. Isn’t that what life is all about anyway? I believe it is. This weeks date day turned out to be pretty good one. It had to be though. After last weeks disaster, this week needed to be spectacular and I was feeling the pressure. Wednesday has become our current Date Day, because we both have the afternoon and night off. Last week on our Date Day we went to Trader Joe’s. Here is a tip… Do not run errands on your special day together. It is not very romantic. We had gotten lazy and didn’t really plan anything. Sometimes that is good and we go with the flow and it all works out, but usually we have some sort of outline of what we will do. We will usually then deviate from the plan somewhat and it’s fun. Some sort of plan is necessary though, because it gets you going in the right direction. When there is no plan at all and you start going to do the normal day to day stuff , then you have the conversation… aren’t we pathetic? maybe we should move…how come there is nothing to do and we can’t think of anything to do? It was bad. Fortunately, I had a few things fall into place that made our date day this week amazing. 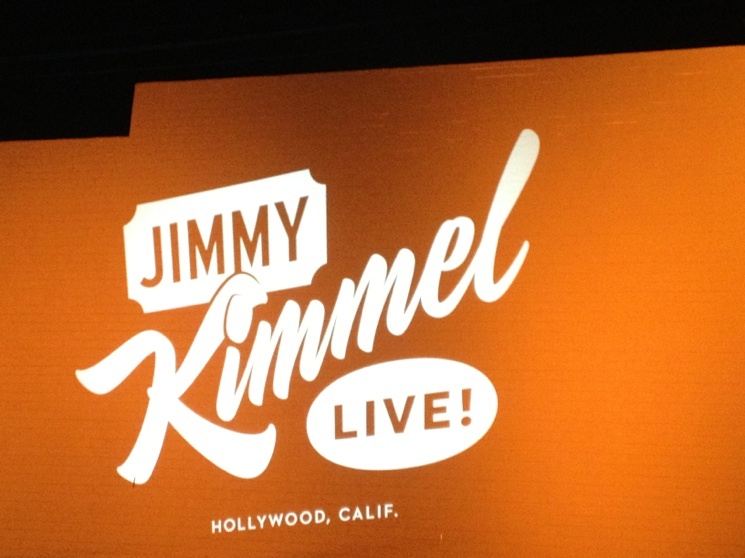 First of all, this friend of ours Flynn, who has been coming to my yoga class for the last few months, told me that he works for the Jimmy Kimmel Live show and he said to me on Sunday after Chelsea’s class at the Green Yogi… If you guys ever want to come up to the show, let me know and I will take care of you. Well, he did indeed. But that didn’t happen until the night. Our date day begins at 2PM after we have both taught our noon yoga classes. I got home first and made us some lunch and packed up all we needed, except her clothes, for the days adventure. She had no idea what we were doing. It was all a surprise from me. 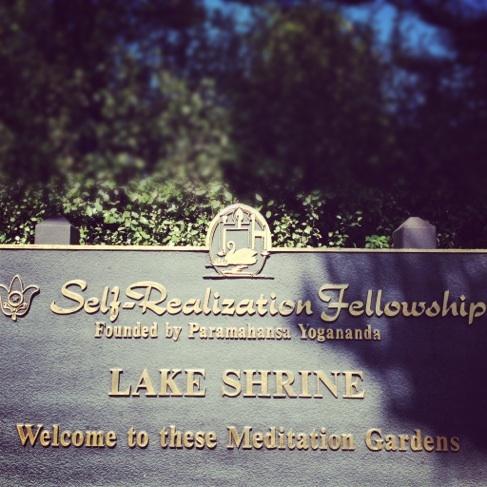 Our first stop was the Self Realization Center. I had looked it up the night before after one of my students said it was the most beautiful place she had seen in her life and she has traveled all over the world. So that sounded good enough to me. Then after my class, Mary Strong, owner of the yoga studio was telling a woman who had just come out of my class about it. I overheard them and said, Chelsea and I are going there today for Date Day! I love coincidences like that. It was a beautiful drive up the coast from Manhattan Beach to the Pacific Palisades and when we got there, Chelsea was in Heaven. There are beautiful flowers and plants everywhere. 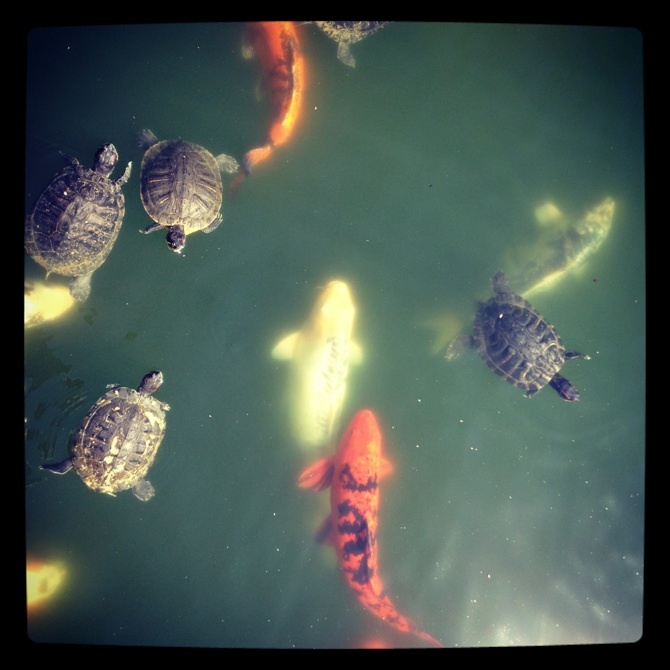 Turtles and Koi swimming happily. We got back on Sunset Blvd, we are only a couple of blocks from the ocean at this point and had not that far to go in terms of miles, but we hit the afternoon rush hour traffic. However, since we were both in great moods we enjoyed the time together in the car. 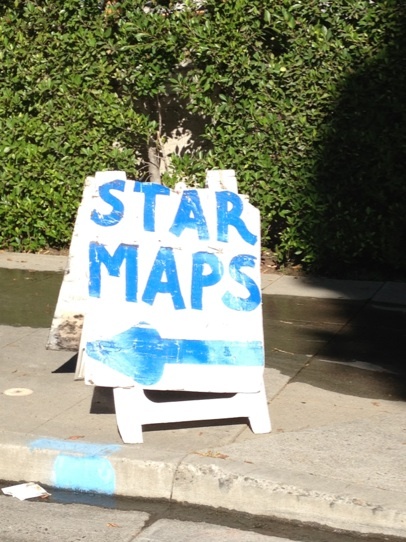 Chelsea couldn’t believe that you could actually get a map to the star’s homes. After driving her through the heart of West Hollywood and seeing all the sights along the way, we arrived at our next destination. We were on “the list” thanks to our friend and went in to the Green Room to enjoy free drinks and food while watching the show and hanging out with each other and our friend. He has been the bartender for the show for the last 5 years and introduced us to a few of his co workers and friends. One of them came back just before the musical performance and said to Chelsea and I, “come with me” He took us all the way past the security to the side of the stage so we would have the best view of the show without having to deal with the crowd. It was awesome. Hundreds of screaming fans fighting for the sweaty t-shirt of some new singer I had never heard of made me realize I was either old or out of touch or both. Something I always feared would happen, but now that it actually has, I don’t mind at all. I guess thats how that goes. 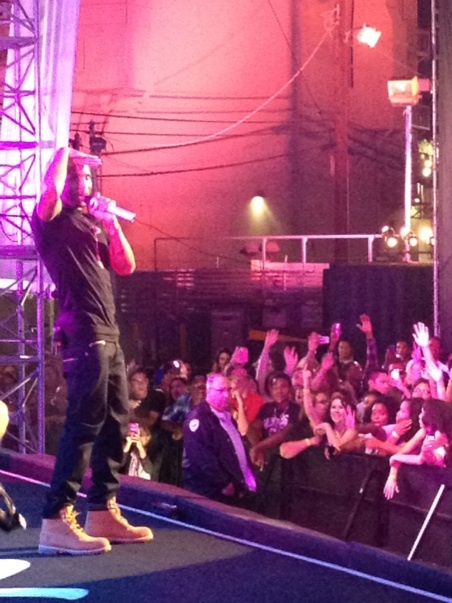 The musical guest, Trey Songz, was actually really entertaining live. He had an awesome band backing him up, which always helps. So we enjoyed our backstage status for his three songs and then it was time to head back home, but not before we made one more stop. 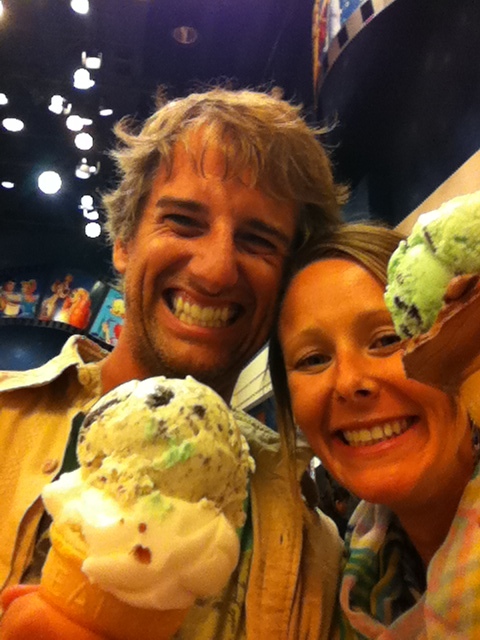 We went with double scoops. A perfect way to end date day. Our cups filled up with of Love.